Caring for protected land, forever. When Great Peninsula Conservancy takes on a new conservation property or conservation easement we make a promise to protect that land in perpetuity. GPC keeps this promise through diligent, capable stewardship of its lands, which means visiting each and every property at least once a year and making sure its conservation values are protected. Stewardship is at the very core of GPC’s mission and purpose as an organization, and its importance will only grow as GPC expands the lands under its protection. When GPC acquires a new conservation property or conservation easement it must carefully document the condition of the land at the time it is acquired. This documentation of the original conditions provides a baseline that GPC can then use to monitor changes over time. GPC stewardship staff document these conditions by taking photographs at specific locations on the property, and then each year they return to those same locations and compare what they see to the photographs in the baseline documentation. On lands that GPC owns, it also creates a management plan that documents the special natural features of the property like salmon streams and wetlands, and provides a road map for how GPC will protect or enhance those features from year to year. 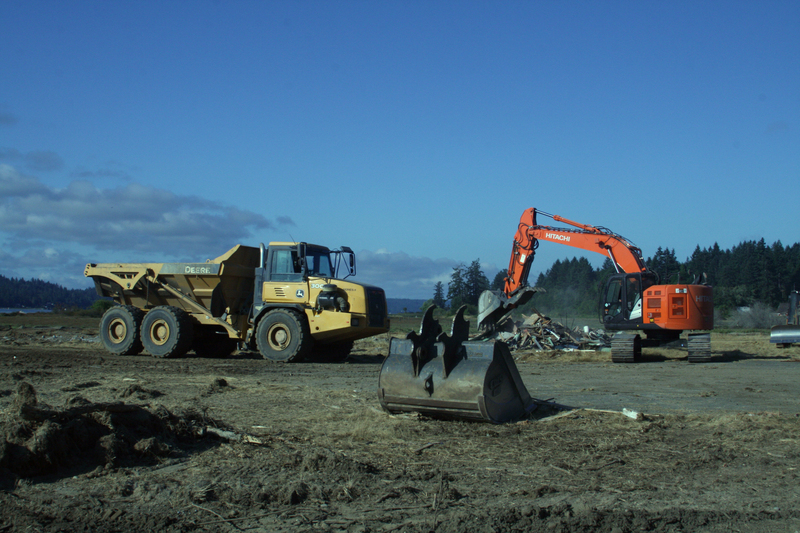 Lands owned by GPC are visited at least annually to document any changes to the condition of the land, inspect for garbage, trespassing, or encroachment. Stewards also remove invasive weeds and garbage, clear paths, and post signs. This work is all performed by volunteers and overseen by GPC stewardship staff. The lands held by GPC via conservation easements are also monitored annually to ensure that the terms of the easement are being met. This involves making an appointment with the landowner, walking the property, taking photos at specific locations, and writing a report. The landowners remain responsible for all maintenance of their lands. Interested in becoming a land steward? Head here to learn more. Puget Sound shorelines offer unparalleled beauty, but also provide unparalleled habitat for a wide array of plants and wildlife. Up and down the food-chain, from endangered killer whales to the eelgrass eaten by juvenile salmon, most life in the Puget Sound depends on healthy shorelines. 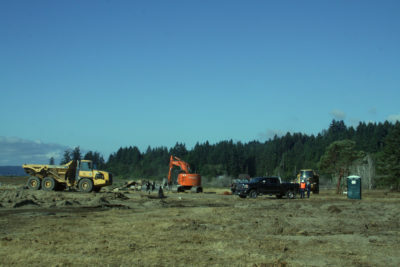 Over the past 100 years much of Puget Sound’s shoreline, saltmarsh, and tidelands have been altered and degraded by practices like shoreline armoring, diking, dredging, and filling saltmarsh. 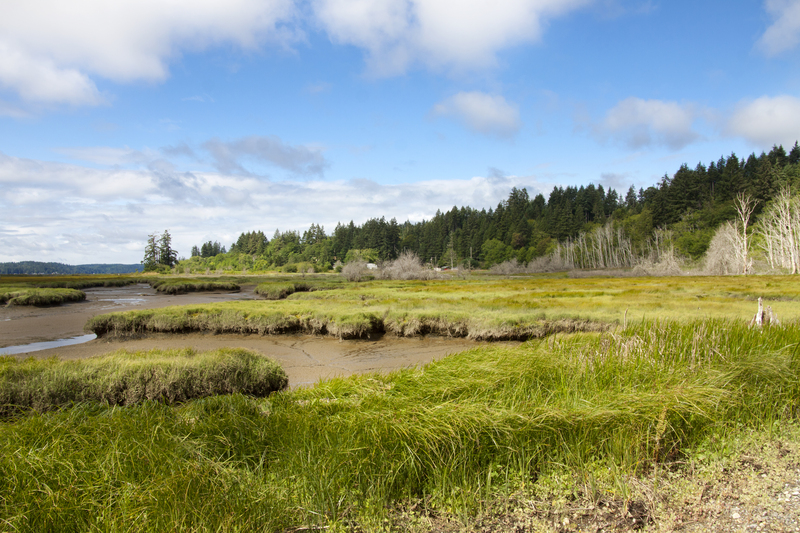 Great Peninsula Conservancy works together with its partners to restore these important habitats on select properties where they have been significantly degraded, and return them to their historic condition. This can involve removing fill and dikes, restoring side channels and original shoreline contours, and planting native plants, shrubs, and trees. Many of the properties that Great Peninsula Conservancy manages have been logged in the last hundred years, and some were even former tree farms or timberland. Properties that were previously managed for timber production often have very little diversity in terms of tree species and tree age, and these homogenous forests have limited habitat value for wildlife. 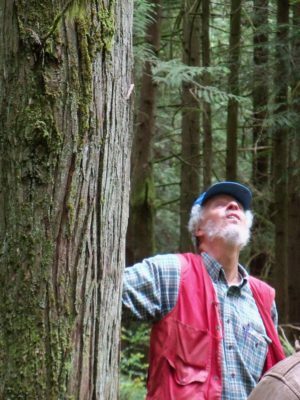 Great Peninsula Conservancy works with professional foresters at Northwest Natural Resource Group to develop forest management plans that guide our efforts to restore these homogenous forests by planting a diverse mix of long-lived native tree species such as cedar, hemlock, spruce, and pine. 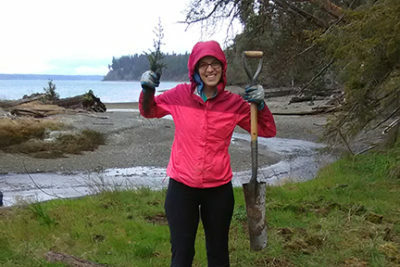 In preparation for tree planting, Great Peninsula Conservancy engages volunteers to remove invasive plants, thin competing vegetation such as alder trees and salmonberry bushes, and plant a diverse mix of tree seedlings and other plants such as Nootka rose and oceanspray bushes. This diversity improves the forest’s wildlife habitat, strengthens its resiliency in the face of diseases and pests, and ensures that it will slowly mature into old growth.